Say "I do" with stylish wedding bands. Make your special day spectacular with a stunning personalized wedding ring from our collection. 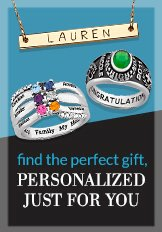 For special deals and matching pairs of rings, check out our unique wedding sets.